Disney’s The Nutcracker and the Four Realms arrives on Blu-ray and Digital this Tuesday, January 29th. You can buy it here on Amazon Prime (affiliate) or participate for the chance to win 1 of 2 Blu-ray discs. To find out more, keep reading. Last year I had the once in a lifetime experience of walking the red carpet at the premiere of Disney’s The Nutcracker and the Four Realms. But not only that, as if that weren’t enough, I, along with 24 other bloggers from across the country, had the chance to talk with two very talented women featured in the film, Misty Copeland (the ballerina) and Mackenzie Foy (Clara). 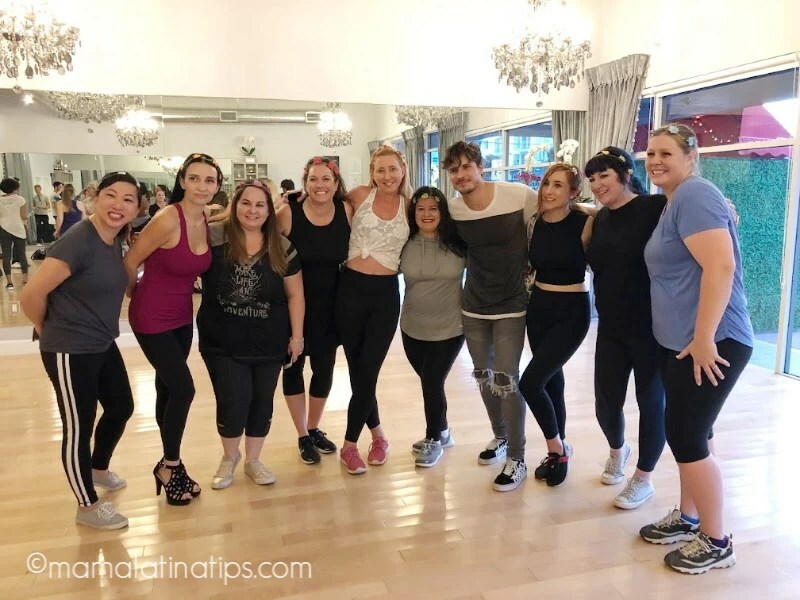 Another highlight, beyond meeting these amazing women, was the opportunity to visit Pro Dance LA, the dance studio owned & operated by Gleb Savchenko, Dancing with the Stars pro-dancer and Dancing With The Stars: Juniors mentor. The experience awakened my dormant, almost forgotten, childhood passion for dancing as I learned a dance inspired by the movie. The dance, choreographed by Gleb Savchenko, Alan Bersten and Brandon Armstrong, was set to an excerpt from the beautiful song “Fall on Me,” interpreted by Andrea and Matteo Bocelli in the film. In just 30 minutes, we were dancing, check it out! Did you like the song? Well, you can hear it and watch the video as part of the Blu-ray bonus content, along with some deleted scenes, a conversation with Misty Copeland, and a featurette about the production design, sets, and costumes. Would you like to participate for the chance to win one of two Blu-ray discs? You can do it below. 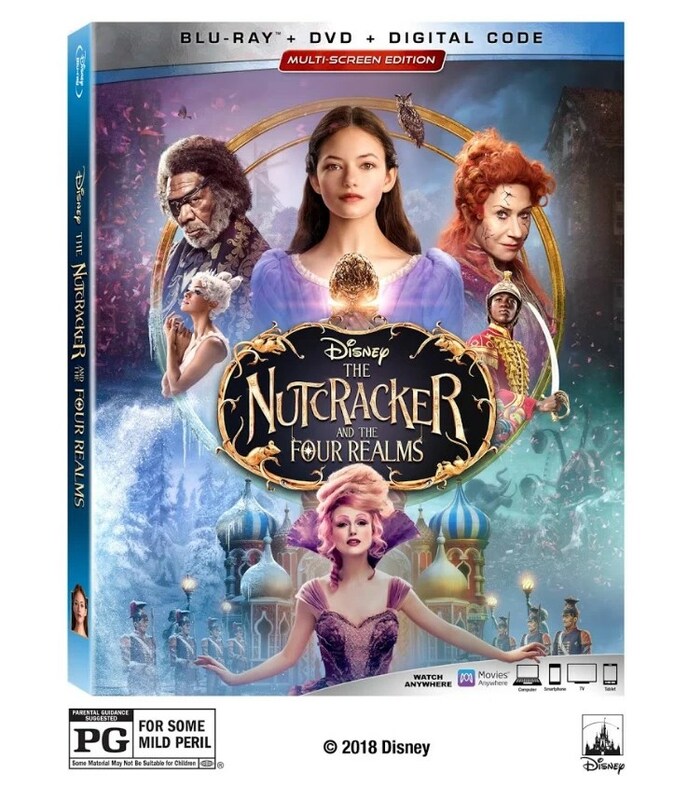 To participate for your chance to win 1 of 2 The Nutcracker and the Four Realms Blu-ray Multiscreen Edition Discs is easy. Just leave me a comment telling me your favorite part of, or scene, from the movie (if you have not seen it, watch the trailer below and tell me something you like about it. That’s it! That is your required entry. Good luck! This giveaway will end on Thursday, February 7th, 2019, at 11:59 PST. No purchase necessary. Open to residents of the United States of America as well as Canada and Puerto Rico, who are 18 years of age or older. The Winner will be randomly chosen and notified via email. Winner must respond to notification email within 72 hours or a new winner will be chosen. Void where prohibited. Please, no P.O. Boxes. Entries/Comments that do not follow the submission guidelines will be invalid. For more information, photos, and videos, follow The Nutcracker and the Four Realms on Facebook, Twitter and Instagram here. I have not had a chance to see this movie yet but my favorite part of the play was the music. I love the ballet portions. I have never seen this movie yet. After viewing the trailer I am sort of reminded of the Wizard of Oz. My favorite was realizing that the legendary Morgan Freeman is in this film. I visited and liked your FB page and saw article shared by SCAN. I have not seen the movie, but I love the music from the ballet. Hoping to win this for my son. I haven’t seen it yet, but I love the music.. I have seen it yet but I love the music in the scenes. Thank you! I love the scene where Clara and her dad dance. 4) I saw a post on being a multigenerational caregiver. I was totally that, when I had the privilege of taking care of my grandmother, alongside my mom. It was not an easy task, it never is. However, we loved my grandma so much, we did it with pleasure, love, and every day we shared with her, was a gift. I love the beautiful costumes! I visited FB and saw “Chile Relleno Pizza The Perfect Appetizer”.